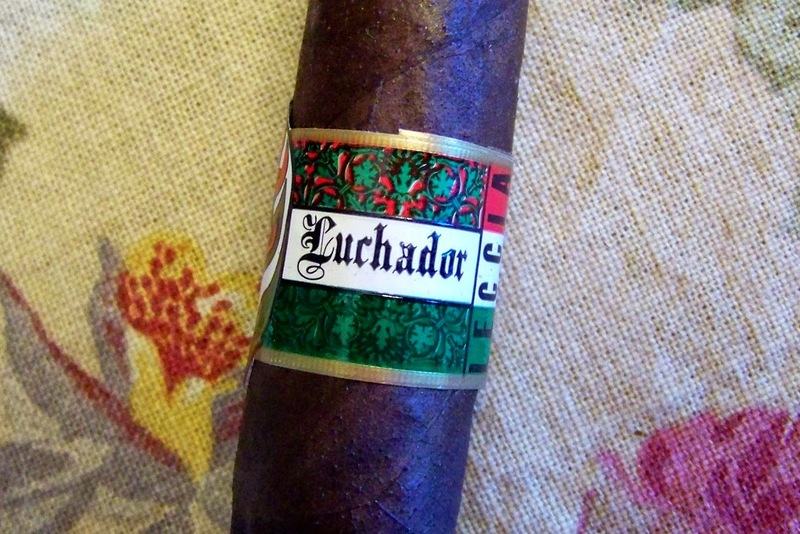 The Luchador is an exotic 5 country cigar blend handcrafted in Nicaragua consisting of very unique tobaccos. A San Andreas Wrapper leaf surrounds the habano binder leaf grown in Ecuador. 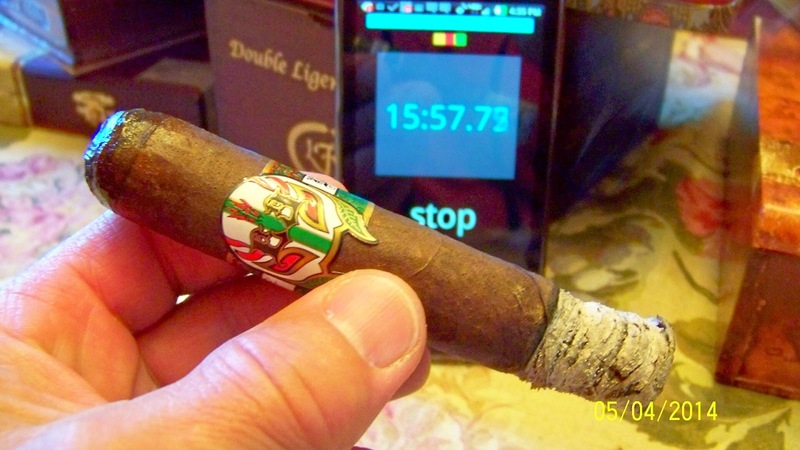 The filler uses viso from Esteli, Nicaragua with ligero From Pennsylvania-USA and Jamastran, Honduras. 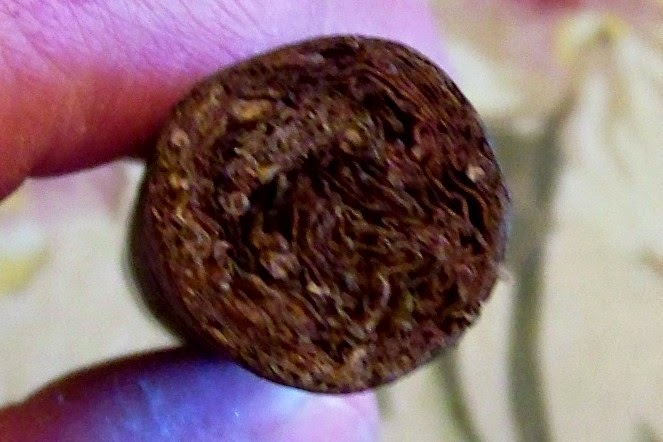 Centering the blend is a distinctive tobacco from Ometepe, Nicaragua. 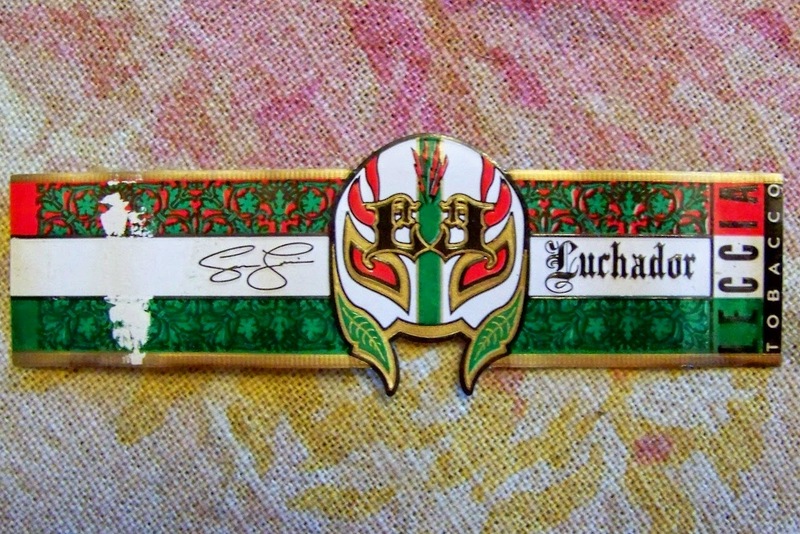 Luchador is Spanish for fighter. This is a very dark cigar. It is well made. The band is quite decorative and colorful. The cigar has good density. The test draw after cutting the cap was effortless. The initial flavors were a nutmeg with underlying sweet cedar, a ton of black pepper rated at an 8.5, coffee, and a lot of dry wood notes. The finish is dry wood and light cream notes. There is also a lot of lingering black pepper. 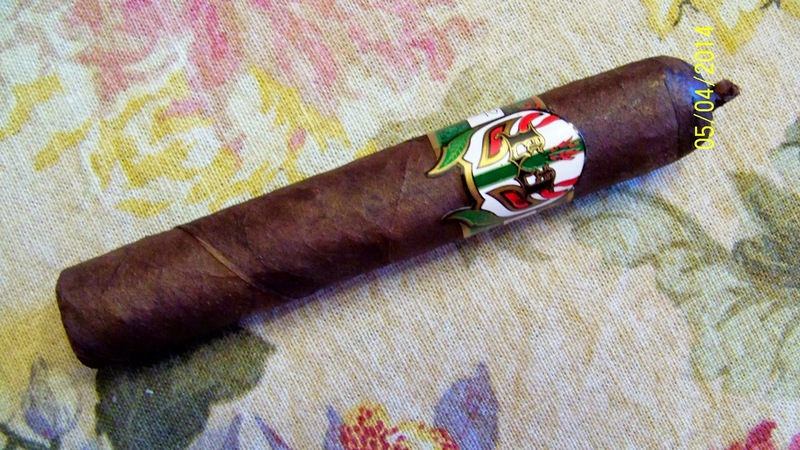 The cigar is medium to full bodied right away. About 1 1/2 inches in the cigar has really picked up in sweetness. The nutmeg is the first flavor and following that is the sweet cedar. The wood notes follow those and the coffee holds the base. The pepper remains very good. The finish is now a toasted sweet cream with lingering black pepper. With about 2 inches remaining the nutmeg is the lead flavor with the cedar notes toned down. The nutmeg has some sweetness. The wood notes are attached to the nutmeg. There are now some subtle cocoa notes that follow the nutmeg and wood. The coffee remains the base. The pepper has toned down to a 7.5 and the lingering pepper on the finish is still very good. The finish is a toasted cream with some hints of charred wood. The cigar is pretty much full bodied at this point. The burn is very even. With only about 1 1/2 inches remaining the cocoa notes have come and gone. The cedar is back as the main flavor with the nutmeg subdued. The cigar is definitely full bodied at this point. The wood and coffee are about the same along with the finish. The cigar lasted just about one hour. The cigar ended with the cedar the main flavor with subtle nutmeg notes. There were a lot of wood notes. The cocoa is gone entirely. The coffee made a good base. The finish was unchanged. 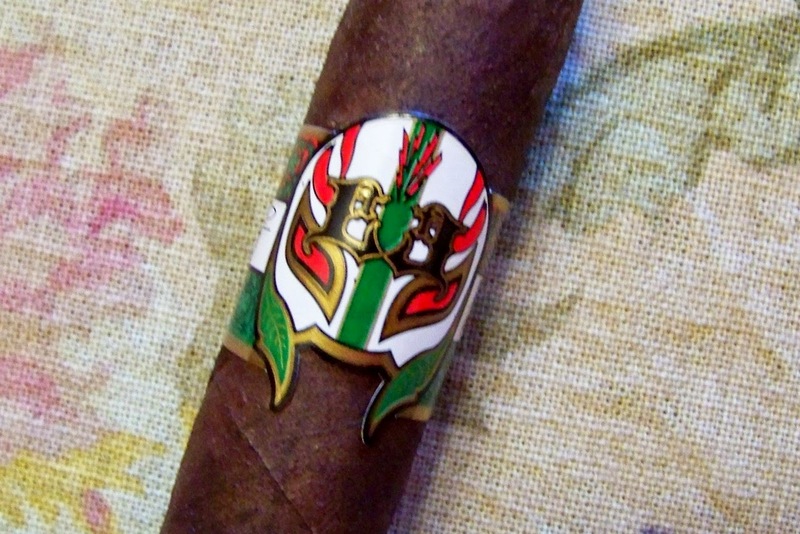 You can really feel the ligero now. 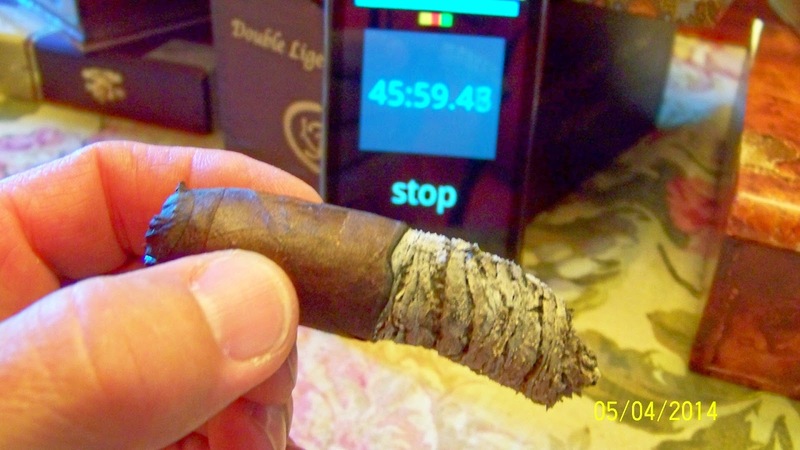 This has been a cigar that made numerous changes. 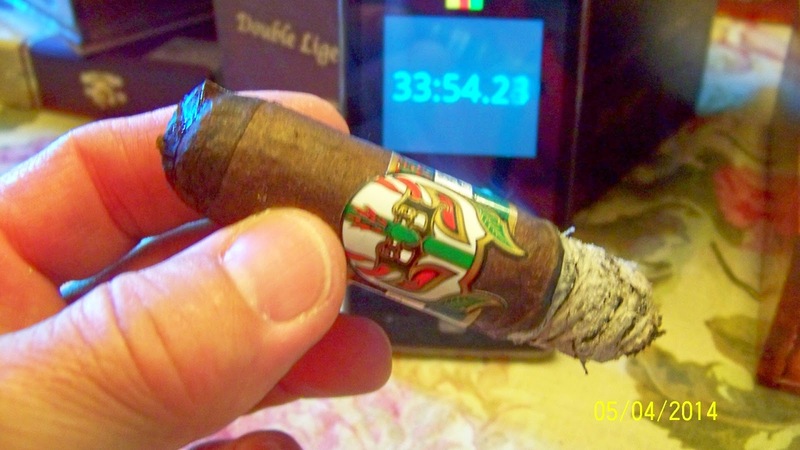 I found this to be a very good full bodied cigar that is heavy on the pepper and coffee. The sweet notes of cedar, nutmeg, and sporadic cocoa were very nice. These cigar will be on shelves on May 5th. Anyone who is a full bodied cigar lover should try these as you should really like them. A very nice cigar. Will be picking up more of these for sure. Sam you have done it again! !